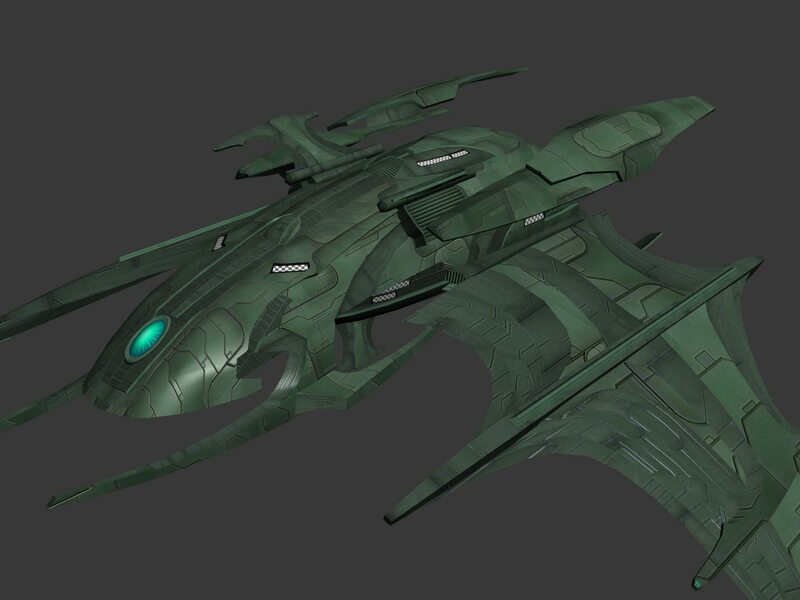 What if the Romulans had the chance to design a ship with Reman’s Scimitar capabilities and transforming abilities? 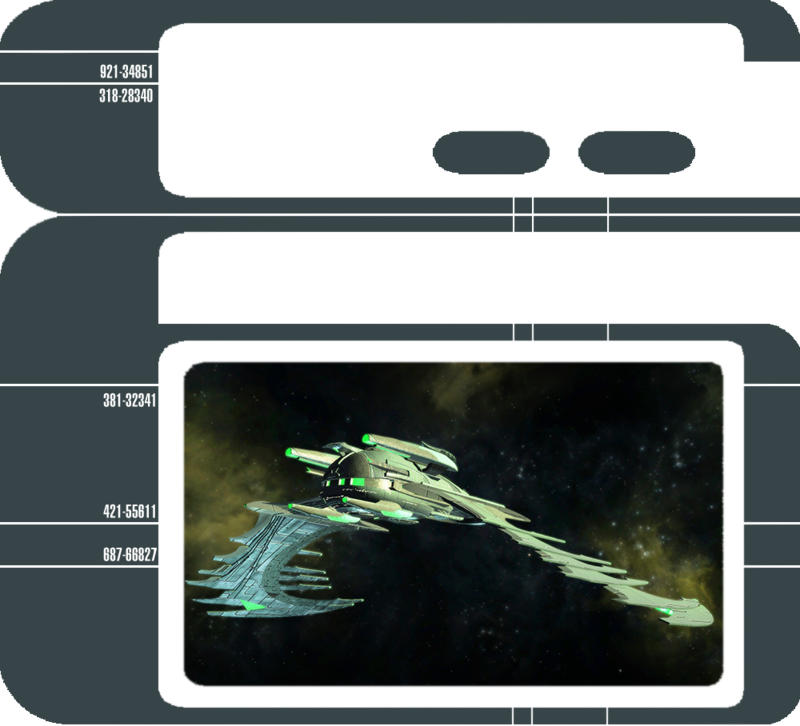 That’s the rationale behind the Shamshir, Flambard and Kopesh designs, the latest offspring of the technology exchange between Romulans and Remans. In the spirit of my previous Romulan designs, (just like the Romulan Star Empire) these ships want to look bigger than they really are. Just like on Earth, authoritarian regimes love immense war machines to show off their power. Their aggressive looks and massive sizes should be enough to make any alien race to think it twice before attacking them. They win by pure intimidation alone. 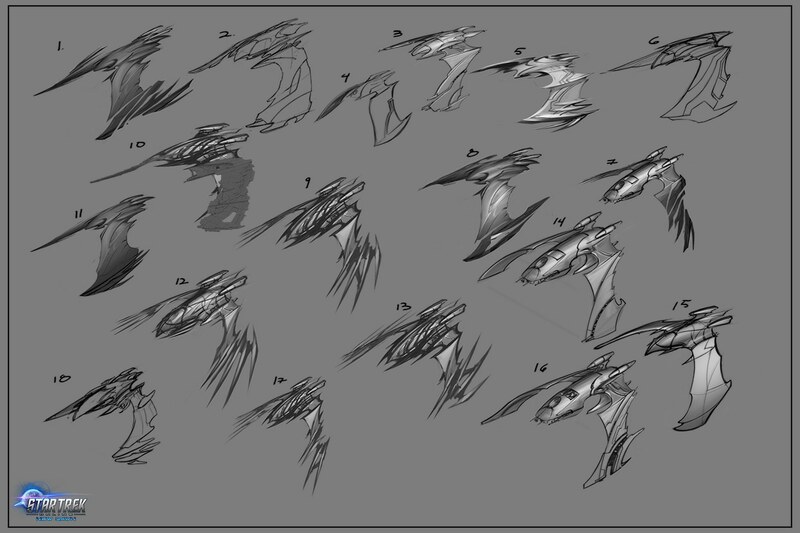 Even though the designs use the Scimitar as a starting point, during concept what I really had in mind was a lionfish. While on flight the ships should look like lionfishes on the hunt. 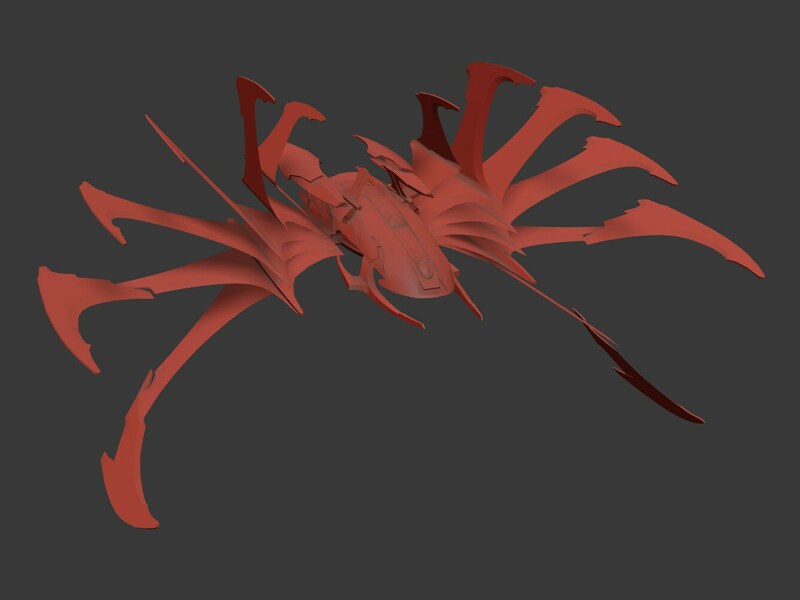 The challenge was to integrate the lionfish motif with ever present bird element of previous Romulan ships. 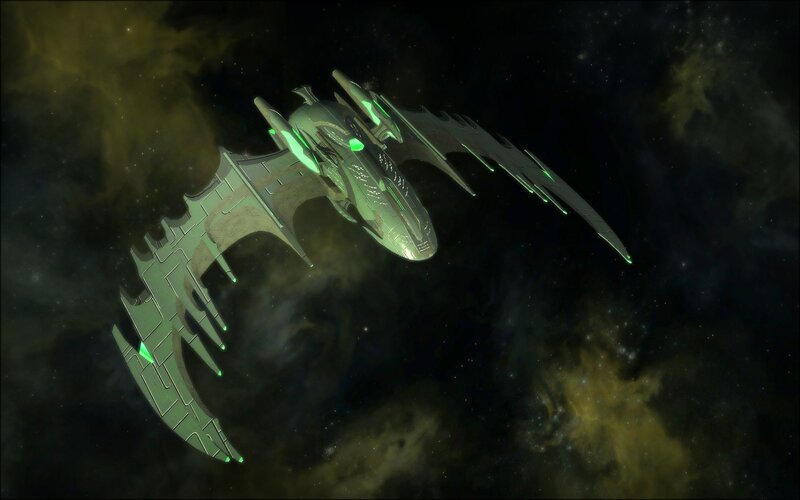 After concepts & sketches of these new Romulan ships were approved, we had a fairly specific goal to accomplish: a very Romulan looking series of ships in the vein of the Scimitar. These ones also had to feel like they fit into a family -- not unlike the Scimitar, and its sister ships, the Falchion & Tulwar. As with many other bundles, each of the three ships were going to slightly lean towards one of the career paths in the game, Tactical, Science, & Engineering. 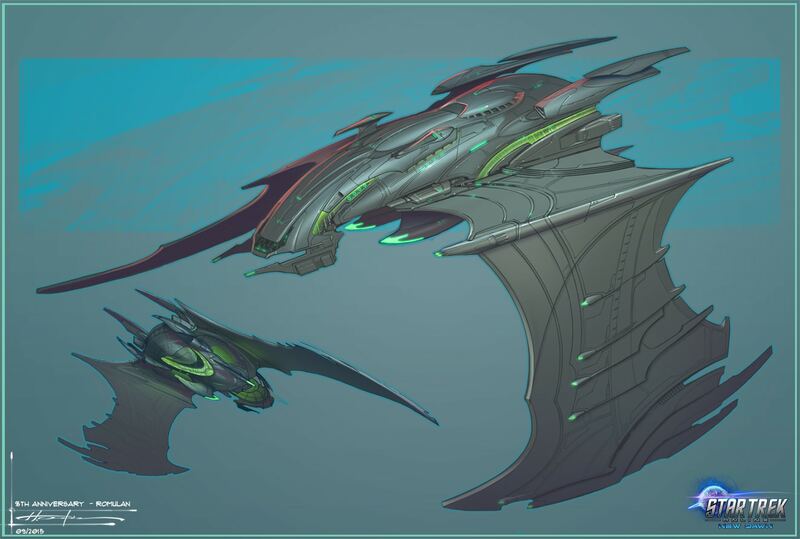 There are some design motifs, and general shape language we desired to implement into the ships to help the ships visually fit into their appropriate categories. Starting from a fresh slate is always a challenge, especially considering the parts of the new ships have to fit in with all of the parts of the old ships. While this provides a great basis for proportions, it is also a challenge in the sense that we have to follow a specific set of variables in order to get the ships to match up when a player decides to customize their vessel. 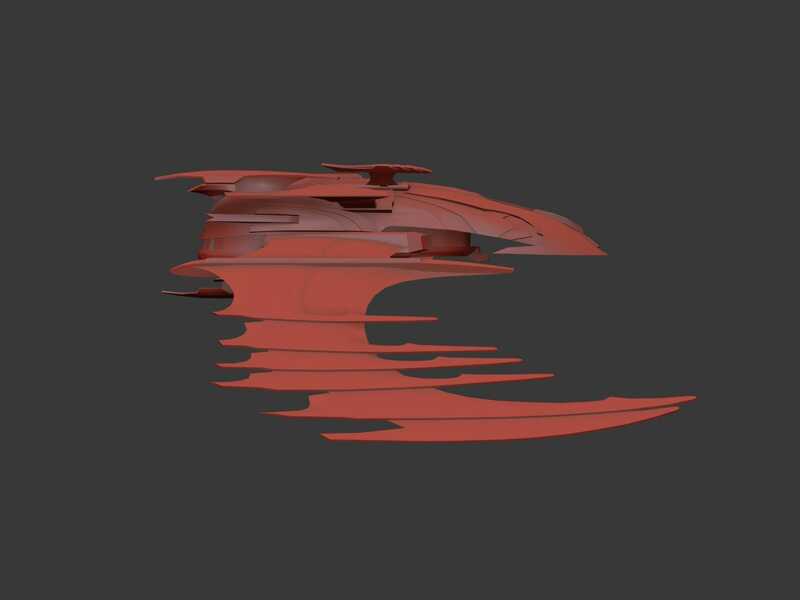 A new ship with no "siblings" is far less constrained when it comes to the visual appearance. We also have to consider any animations, hull materials, and window options. As we finished up the first ship, we progressed onto the others, using the first as a base. As always keeping in mind parts of the variants, and keeping each variant feeling like they're part of the same family. The science leaning variant generally has more exposed sections, allowing you to see some of the underlying working features of the ship, while the tactical version has a more aggressive passive stance, and maybe even a more streamlined look, when compared to the engineering version. These features can be seen in the backswept nacelles, as well as the relatively thin wings and winglets of said variant. As the last ship is finished up, and put into the game, we generally make a final pass on all of the variants to be added. 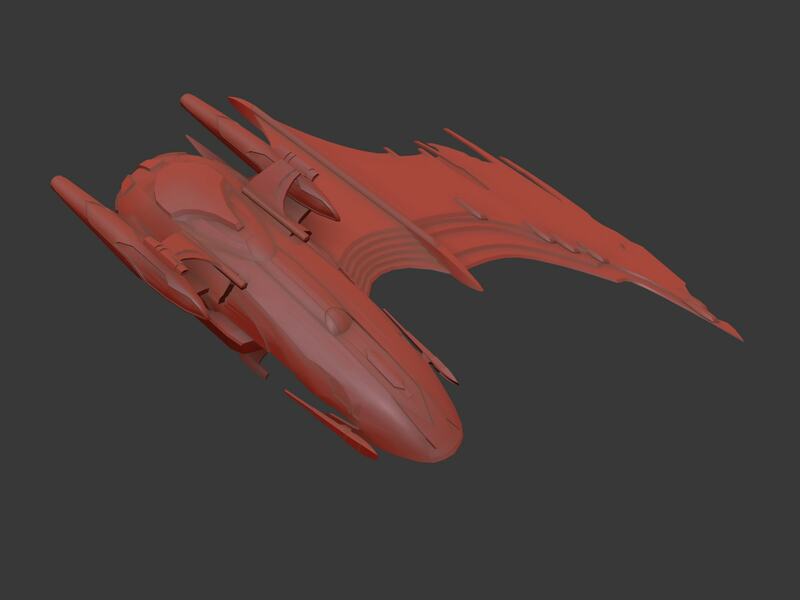 This last pass includes adding windows, as well as placing and adjusting visual effect nodes throughout the ship. These last touches to each ship help finalize, and keep the series of vessels feeling like they belong in the same family, as well as helping unify the old with the new. Hopefully these ships fit nicely into the family begun by the Scimitar.